Comment: We live in a mobile home. I have a very small bathroom screen that needs to be replaced. I have a 36"x 44" fam room screen that needs to be replaced and I have a sliding glass door that the screen is ok but the frame is broken. Can we just get a new frame or do we have to replace the whole thing? Comment: I need a company that does French doors. Ours in the master bedroom needs replacing. Comment: Need a screen on my back exterior door and also retractable screens for front double doors. 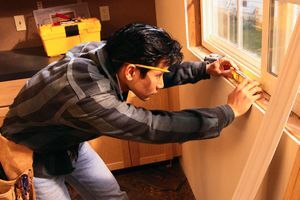 Lake Forest Window Replacement Companies are rated 4.61 out of 5 based on 794 reviews of 28 pros. Not Looking for Windows Contractors in Lake Forest, CA?